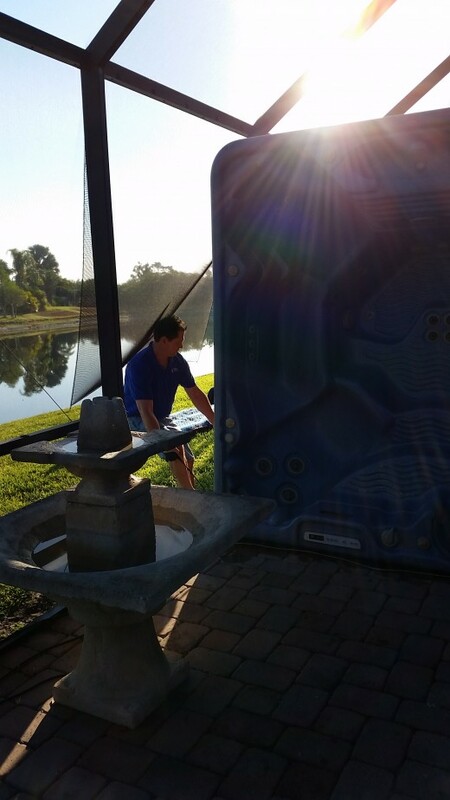 What Can You Do to Remove an Old Spa or Hot Tub? 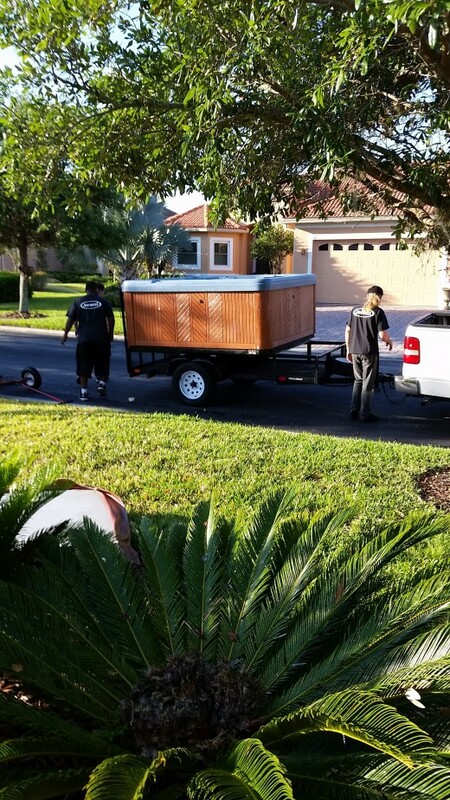 A spa or hot tub is a heavy, difficult-to-move object. At the point that you decide to get rid of one, it can seem overwhelming. It really isn't that hard. Here's how to go about it. I documented the removal process of our old spa and am sharing it here. First, you need to find a buyer. If the spa is still functional, some spa dealers will buy it at a very reduced price to rehab and resell. 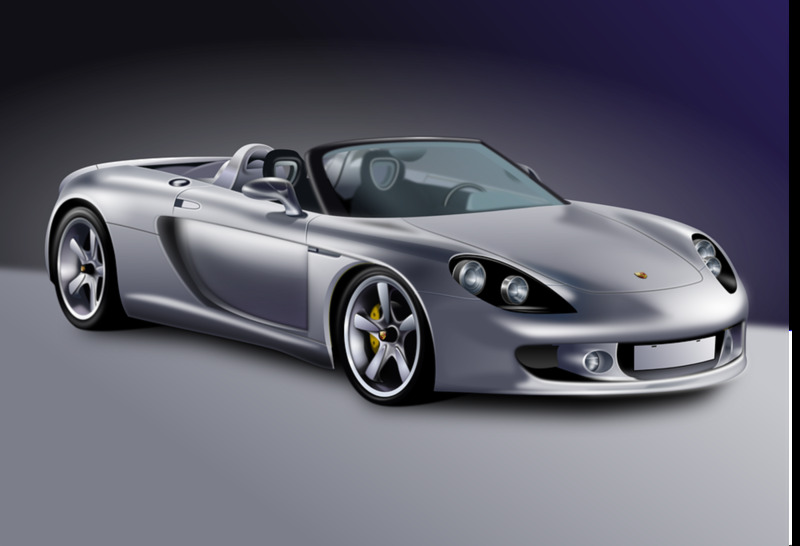 You also have the option to sell it using Craig's list or other ways that you sell used items. Make use of sales groups for your locale on Facebook or NextDoorNeighbors. 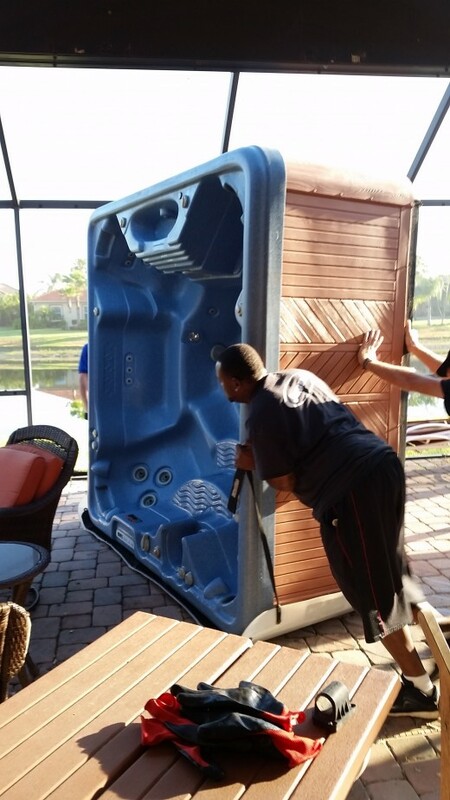 Most buyers of a second-hand spa are hesitant as they don't know how to move such a heavy object. 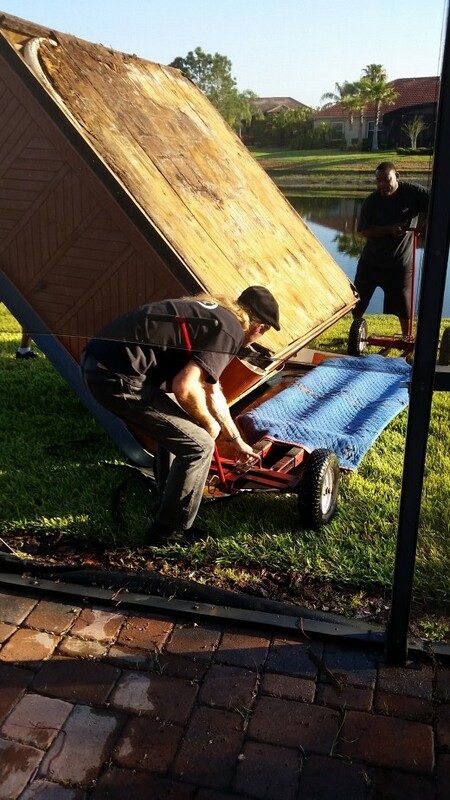 When selling to an individual, check with spa dealers for what they charge to move a spa from one home to another. As you see in the photo above, they turn the spa on its side to move it. We had drained it before they arrived and removed the power cord. When the three strong workmen turned it on its side, water from deep within the spa came out. You can use a shop vacuum to try to extract that water from the lines, but it would be hard to get it all. When they turned the spa on its side, they had a large slider under it of a very heavy plastic. They could pull on the straps to move the spa across the floor. In the photo above, you can see them taking the spa out through a panel of the screen room. First, they removed a cross panel of aluminum and loosened the screen from its track. They left it attached on one side. 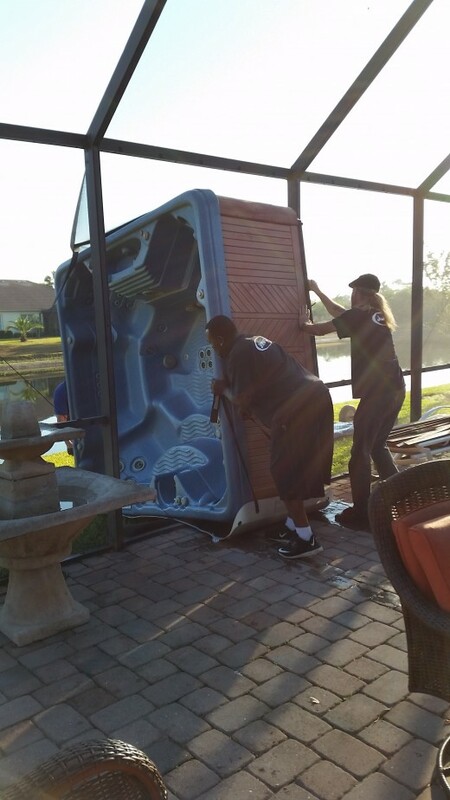 If you have the hot tub or spa outside on a patio or deck, then you don't have to worry about getting it out of the structure. One fellow pulls the spa while the other two push it. Once it was outside the screen room, on the grass, they had a wheeled dolly to place it on. The dolly was cushioned with a quilted moving blanket to avoid scraping the side of the hot tub. Once the spa was on the dolly, they wheeled it across the lawn to their trailer. 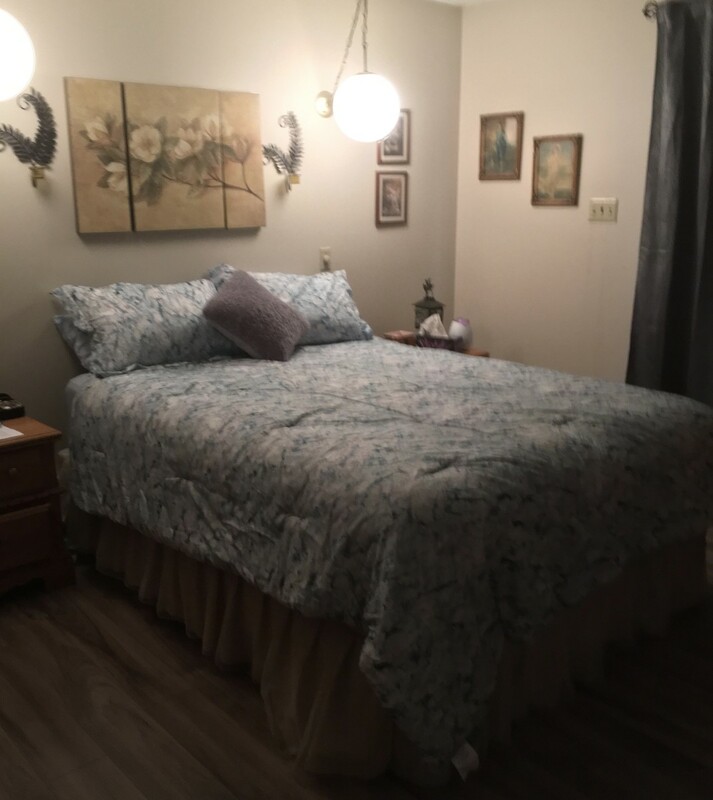 They charge $300 in our area to move a spa. Since our spa was still functioning, they offered $500 for it. Possibly we could have made more money on it by selling it directly to an individual, but it was just simpler to accept their offer. If you have any questions about the process, put them in the comment section below and I'll try to answer them. Always wondered how the previous owner/occupants of a house I once rented first installed then removed a hot tub on the deck outside the kitchen. The position of the deck and natural boundaries around the back yard suggested getting in and tge out again must've been quite a feat! What was really puzzling, however, was why they also removed the downstairs bathroom inside one of the back doors for after-tub use! Doing so left only one bathroom upstairs, which was a deal breaker for over-60 potential buyers, which may've had much to do with it finally being sold for taxes at auction. Sad.